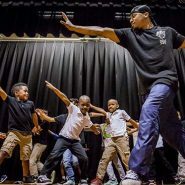 Young Audiences New Jersey & Eastern Pennsylvania (YA) is pleased to offer Arts Education Scholarships of up to $5,000 to fund assembly programming in New Jersey and Eastern Pennsylvania schools. YA has provided transformative arts experiences to thousands of children in schools throughout the region for 45 years. YA’s Arts Education Scholarships are designed to bring extraordinary and inspiring arts performances delivered by YA’s team of professional teaching artists. Each customized program is developed to maximize students’ experiences with quality arts programs, and to provide opportunities to understand the cultural importance of the arts and creativity. YA assembly performances are a vital component of arts education. 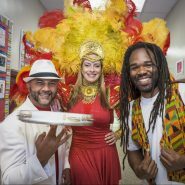 They introduce the arts and provide new and diverse cultural experiences to the audience and educators. While our stage is a school auditorium, the work is no less important or impactful than an event at a performing arts venue. New research shows that performance has a significant impact on the brain, activating parts associated with feelings of connection to others, sharing emotional experiences with others, and creating a neural rush. Exposure to performances will complement academic studies, themes, and students’ cultural backgrounds. YA strives to ensure that children value live performance as an essential part of a full life, cultivating the next generation of performing arts supporters. 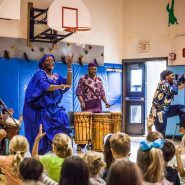 Grant recipients will work closely with a professional from Young Audiences’ staff to plan their school’s arts assembly programs based on their the school’s specific needs. Each recipient will receive Young Audiences assembly programs valued at up to $5,000 including guidance and support from Young Audiences staff to assess the grantees school and student needs and develop a customized plan for YA’s arts programs. Based on the plan, YA will schedule professional artists to come to the school and provide appropriate assembly programs for the entire school population. The YA Arts Education Scholarships will be awarded on a competitive basis, with priority given to schools who demonstrate a financial need and show a commitment to bringing quality arts programs to students, teachers and community. The deadline for applications is October 5, 2018 at 3:00 pm. Winning schools will be posted on YA’s website yanjep.org by October 19, 2018. All public, private and charter preschools, elementary schools, middle and high schools serving grades PK-12 throughout New Jersey and Eastern Pennsylvania (Philadelphia, Delaware, Chester, Montgomery, Bucks, Berks and Lehigh Counties) are eligible for the grants. More details can be found in the application (Word .docx format) located on the right sidebar. Questions about YA’s Arts Education Scholarships? Contact Donna Reckelhoff at 866-500-9265 ext.206 or [email protected].